This unit has been powered on to update and to perform function testing only. Device's condition is 10/10 with no signs of use. You can use it with WiFi or you can use it on the AT&T Cellular network. Samsung Galaxy Tab E SM-T377V Wi-Fi 4G LTE Cellular Verizon 8 in TESTED Good and Working Condition. 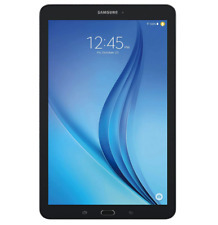 This auction is for a Samsung Galaxy Tab S SM-T705 Wi-Fi 4G 8.4" Tablet - GSM with charger and cable Functionality - This tablet has been tested by our technical team to be fully functional and the software has been reset to factory settings. Cosmetic Condition – Unit is in excellent cosmetic shape and the photos are of the exact unit you will receive Testing – all of our used/refurbished tablets go through an extensive list of 20 functional checks. You can feel confident that this tablet will function correctly right out of the box. Note on batteries – Batteries by their nature have a limited lifespan. If the listing shows a battery included, we have verified it will take a charge but cannot guarantee or predict how much useful life it may have left. 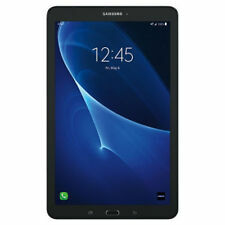 This auction is for a SAMSUNG GALAXY TAB E SM-T377A AT&T 4G WIFI TAB BLACK 16GB with charger and cable Functionality - This tablet has been tested by our technical team to be fully functional and the software has been reset to factory settings. Cosmetic Condition – Unit is in excellent cosmetic shape and the photos are of the exact unit you will receive Testing – all of our used/refurbished tablets go through an extensive list of 20 functional checks. You can feel confident that this tablet will function correctly right out of the box. Note on batteries – Batteries by their nature have a limited lifespan. If the listing shows a battery included, we have verified it will take a charge but cannot guarantee or predict how much useful life it may have left. Very clean. It will also be reset to original factory setting. 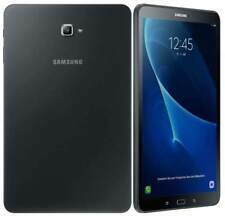 The Samsung Galaxy Tab E tablet is driven by a Qualcomm processor with a clock speed of 1.2 GHz. Furthermore, the model is equipped with a 16 GB hard drive to accommodate your data. In addition, this Samsung tablet is available in black. Galaxy Tab. Wi-Fi 4G. AT&T phones run on the GSM network. Does not work with any CDMA carriers such as Verizon and Sprint. Family Line. Display Max. Lithium ion. We strive for excellence and are not happy until you are satisfied. Hard Drive Capacity 8GB. 3G / 4G Support 4G. Connector type Samsung Tablet. Part Number Galaxy : SCH-i915. Manufacturer Samsung. Color Silver. Screen Type LCD. Display Size (Diagonal) 10.1". New In Box! 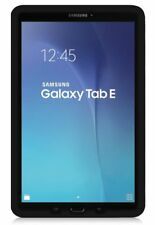 Samsung Galaxy Tab E 16GB, Wi-Fi 4G (AT&T), 9.6in - Black. This is NOT refurbished item. You are looking at the item in the title. Tested, and works 100% Comes with only the tablet. Nothing else. $1.99 Discounted Priority Mail Shipping! Shows signs of normal use. See pictures. 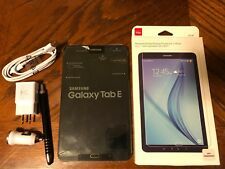 Samsung Galaxy Tab E SM-T377a 16GB, Wi-Fi 4G Unlocked (AT&T), 8in - Black. SIM card is not included . It works a lot like your Galaxy smartphone, so there's nothing new to learn. Just start having fun. Comfortably switch back and forth from your Galaxy phone to your Galaxy Tab whenever. Your content is automatically in sync-wireless, fast and for free. Condition is Used. It was hardly used. The battery is still in excellent condition. Battery (USED). These phones have been tested and are in working condition. SALE INCLUDES. Great condition. See pic. Comes with keyboard and charger. 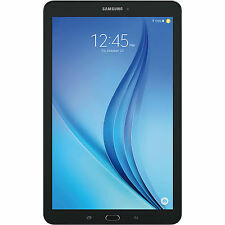 Samsung Galaxy Tab S SM-T807 16GB, Wi-Fi 4G (Unlocked), 10.5in - Bronze. Condition is Used. Shipped with USPS Priority Mail. This is a tablet and not a phone. It will not make a regular cellular phone calls. 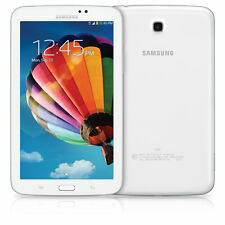 Samsung Galaxy Tab 4 SM-T337A 16GB, Wi-Fi + 4G (AT&T), 8 inch - White. 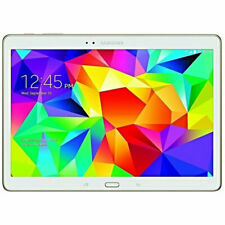 Samsung Galaxy Tab 4 SM-T337A 16GB, Wi-Fi 4G (AT&T), 8 inch - White. . Condition is Used. Shipped with USPS Priority Mail. Samsung Galaxy Tab E 32GB, Wi-Fi + 4G 9.6in w Bluetooth key board included. Samsung Galaxy Tab E 32GB, Wi-Fi 4G (Verizon), 9.6in - Black. new in box, however the box has been opened that is why I had to list as used. Still has original plastic over the screen. Tested to make sure it powers up. ** FREE SHIPPING ** Samsung Galaxy Tab 4 SM-T237P 16GB, Wi-Fi 4G (Sprint), 7in - Ebony Black. Condition is Used but is in EXCELLENT condition. Rarely used. FREE SHIPPING with USPS Priority Mail. Change the way you work, play, and kick back with the Samsung Galaxy Tab S2. Storage Capacity 32GB. Battery Type LiION. Battery Capacity 4 ,000 mAh. Processor Exynos 543 3 Octa-Core. WiFi Wifi Ready. 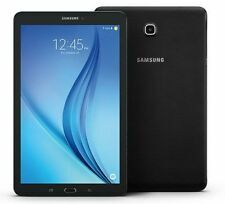 Samsung Galaxy Tab E 16GB, Wi-Fi 4G (Verizon), 9.6in - Black. Condition is Used. Shipped with USPS Priority Mail.